More often then not at some point in our lives, especially as a Christian, we’ve had some idea that if we were going to be useful to God we had to do some profound thing. A service that took great sacrifice. I’d like to propose that it is just the opposite. 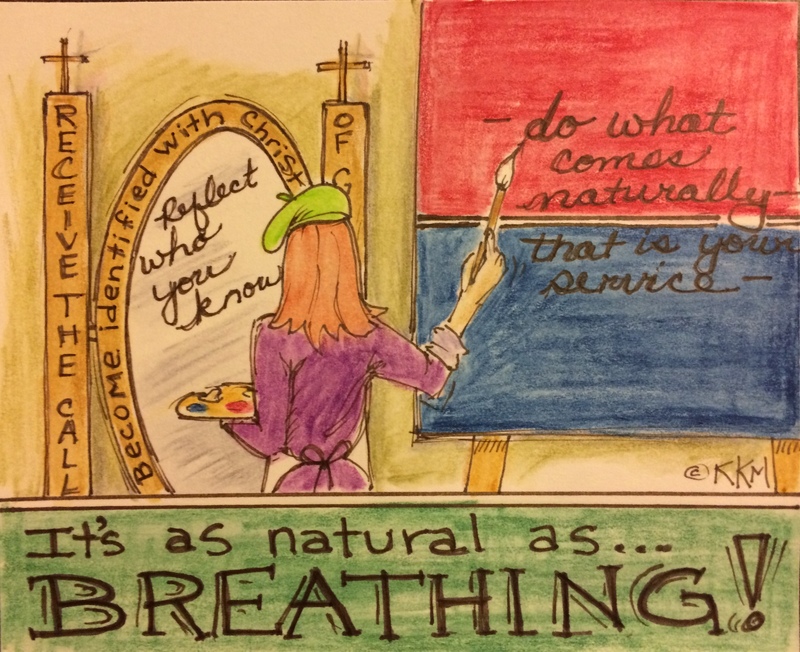 Our service should be as natural as breathing. The difference between serving God out of our own sacrifice and just breathing is our focus. When WE are doing something, we’re thinking about what we’re doing and with that can come a sense of accomplishment and pride in what we’ve done. (We’ve earned another “star in our crown.”) When we’re breathing, we don’t even think about it. We just breath. We take for granted that God will provide that breath and some of us don’t even think about that. We just do it….while we’re awake and asleep. If we have allowed ourselves to become so identified with Christ, what we do for Him will come as naturally as breathing. We won’t have to force it, make a strategic plan for how we’re going to accomplish it, we’ll just live. In this way, every day and every place we will be reflecting Him, in essence, breathing Him into our world and over all those we come into contact with. Relax and just breath.